Today our minds must deal with a high level of stress from our environment. Psychological stresses can sometimes have serious effects on our body – including serious illnesses. The process leading to illness takes a certain amount of time, during which our body already sends out warning signals. It is essential to register these signals and to take appropriate preemptive action before psychosomatic symptoms have a chance to develop. 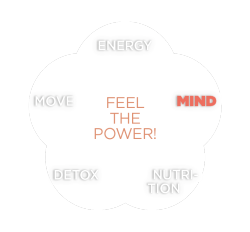 Suitable regulatory therapy can restore the balance between mind and body, reducing or even completely reversing the negative reactions of our body. The holistic Beck & Beck mind concept gives you more calm and patience; you gain more inner serenity and learn how to deal with stress. Your inner energy can flow freely again: you are able to relax and enjoy life more.